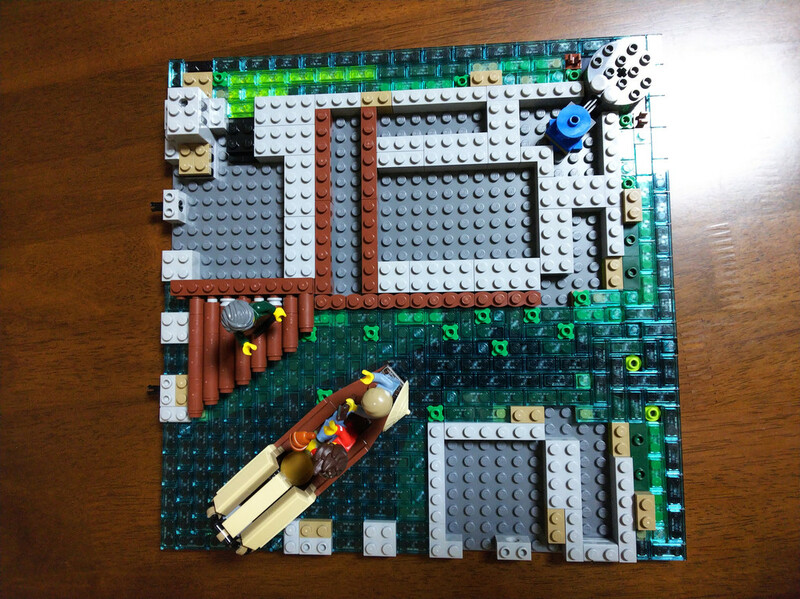 Here is our second part of the building of Lego Ninjago City. The largest set I have ever laid my hands on, and one of the most awesome looking one. 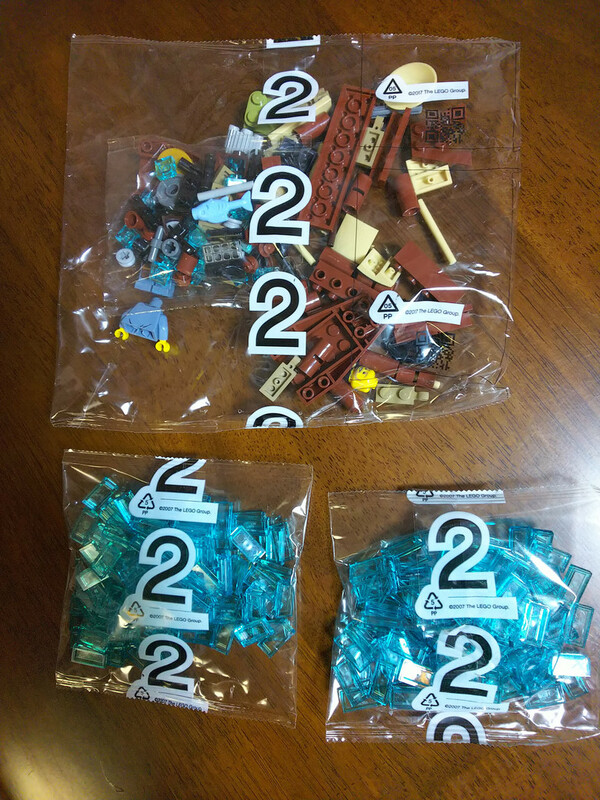 As a reminder, I decided to not rush to build it, quite the contrary, I’ll try to keep a pace of about one numbered bag a week. It will make the fun last longer, the memories too. I’ll explain more about all of this in the first part of the build. 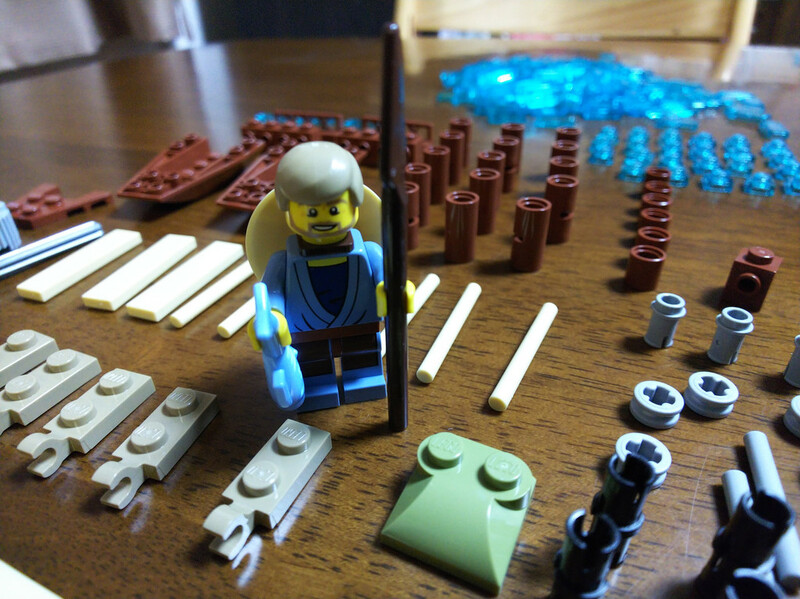 It’s a small bag, not much to build really, just a more or less traditional fishing dinghy and a lot of clear blue tiles to represent the water. When I say one bag, it’s really three, but I count all the bags with the same number as one bag. 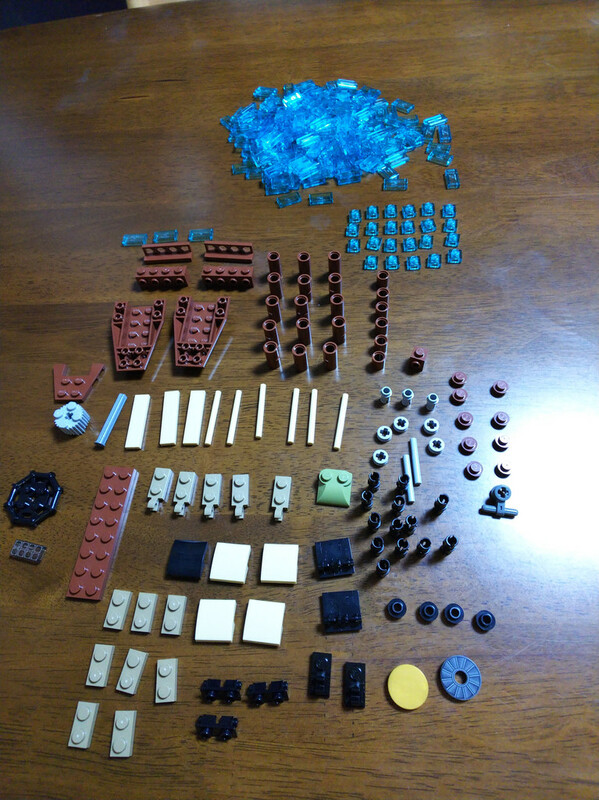 Not that many pieces, it should be quick, right? Wrong. See, that bunch of blue tiles that I didn’t bother spreading nicely like the other pieces, there are 219 of them (not counting the studs), and the layout is trickier than it looks. I actually made a few mistakes installing them ! But first, the dinghy and its owner. One of the many things I like in the instruction book is that there is a small paragraph about every minifigure (not sure if they’re actual speaking characters in the movie or just extras). So, this fisherman’s name is Konrad and his small description says that he’s great at catching crabs and fish, as well as at taking naps. The dinghy is a quick build. It looks like a traditional Chinese fishing river boat. I wish the “roof” was done a little differently, but I won’t complain much, I didn’t buy this set for the boat, it’s just a cute little extra thing. Next step: the street and the docks.